Open reader view Kibbud Av Vaeim for abusive parents? Question: My parents are very controlling, critical, self-centered and emotionally unstable (they may possibly have personality disorders). One of my sisters recently started disconnecting by minimizing her interactions with my parents. My parents are very hurt and angry and are trying many tactics to change my sister's behaviors (which includes badmouthing her to rabbanim). I come from a large family and all of the children are married. We have all managed to figure out a way to deal with my parents to minimize the flare-ups (even though it can be a strain on us and not always in our families’ best interest). Isn't this what's expected for kibbud av vaim? What a sad story! These situations are extremely complex and nuanced. They need to be discussed with a knowledgeable Rov and competent therapist. Considering the above, I cannot make any specific comments, but will share some general thoughts on this topic. 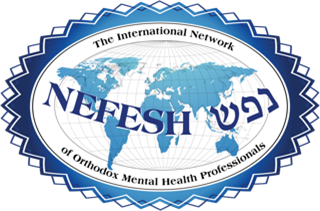 At a recent forum for frum mental health professionals, Rav Reuvein Feinstein Shlita was asked a similar question and he related the following. When a child experiences an abusive relationship with parents, we need to evaluate the situation. Is the child similar to Dama Ben Nesina or to Rav Asi? Dama Ben Nasina was the non-jew who refused to wake his father even at a large financial loss. The Medrash relates that his mother physically attacked him in a public setting and he kept quiet. He refused to embarrass his mother because he understood that he owed his life to his parents and was willing to absorb the humiliation. Most people, however, are similar to Rav Asi. The Gemora in Kidushin relates that Rav Asi asked Rav Yochanan for permission to leave Eretz Yisroel because he couldn’t fulfill the Mitzvah of Kibud Av Vaeim with his parents and thought that it would be a greater fulfillment of the Mitzvah if he didn’t keep contact. Based on the above, Rav Feinstein felt that a therapist together with a Rav should make a careful assessment of the situation vis-à-vis the client’s ability to fulfill Kibud Av Va’aeim. They should determine if client is able to do so or if it is best to be on his or her own. In other words, it is best to separate from one's parents if this will prevent a worse outcome. In these situations, an attempt should be made (by therapist and others) to convey the debt that one owes to a parent who brought them into this world and gave them life. Regarding grandparents, even when extremely critical or abusive to their own children, they often can nevertheless relate lovingly to grandchildren. In these situations, it is advisable and healthy for a parent to swallow their own feelings and allow their children to have a relationship with their grandparents. But if the grandchildren also suffer from this relationship, it raises the question if it is in the child’s benefit to have a relationship with that grandparent. From your description it is highly questionable if this relationship is advisable or if it can be damaging. A serious shaila must be asked. One of my mentors, Dr. Benzion Sorotzkin, wrote a lengthy article about this subject called "Honoring abusive parents." It is available on his website Dr.Sorotzkin.com.